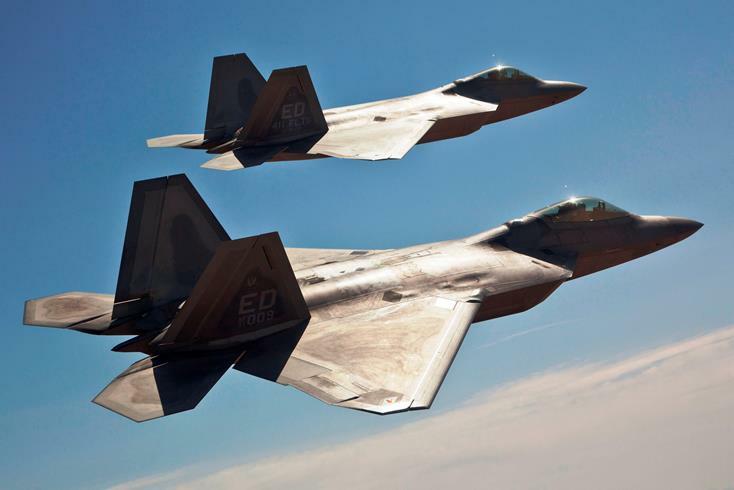 LANCASTER – The Flight Test Historical Foundation will be hosting its Gathering of Eagles event to commemorate the 20th anniversary of the F-22 aircraft’s first flight. The event will take place Saturday, Oct. 21, at the H.W. Hunter Pavilion at Antelope Valley Fairgrounds, located at 2551 West Avenue H in Lancaster. Social hour begins at 4:45 p.m., with dinner at 6:00 p.m., followed by a panel discussion and an auction of aviation memorabilia. Admission is $75 and tickets may be purchased online at the website http://EdwardsMuseum.org/GoE2017. Attendees will have an opportunity to purchase one-of-a-kind aviation memorabilia at the live and silent auctions, signed by aviation legends and F-22 crewmembers and personnel. Panelist will discuss their experiences as Lockheed, Boeing, and Air Force F-22 pilots, to be followed by Q&A from the audience. Proceeds from this event will be used to support the Air Force Flight Test Museum at Edwards AFB and the Blackbird Airpark in Palmdale. Money will be used for repair and restoration of the aircraft in the museum’s inventory, as well as constructing a new state-of-the-art museum and aerospace STEM education center outside the west gate of Edwards AFB, to make it accessible to the general public. “It is the mission of Flight Test Historical Foundation to preserve the rich local history of flight test through the support of the museum at Edwards AFB and Blackbird Airpark in Palmdale” stated Lisa Gray, chairwoman of the Flight Test Historical Foundation board of directors. 1 comment for "Gathering of Eagles event set for October"